Originally from New York, I moved to Sanibel/Captiva Islands in 1992. With a diverse background consisting of numerous entrepreneurial endeavors I started White Glove Cleaning Service on the Islands. Within one year I expanded the company to include property management — Realty Management, Inc. RMI serviced large homes/estates on both Sanibel and Captiva Islands. In 1997, aware of the endless opportunities in the growing real estate market I turned to residential sales. I have worked as a full-time Realtor for RE/MAX Realty Group since 1997. RE/MAX Realty Group in Fort Myers is number one in sold MLS listings and sells more real estate than the next two companies combined. I am a multi-million dollar producer who has been ranked in the top 10% of my office each year. Always striving for excellence and great service for my clients, in 2004 I joined forces with two partners and opened MLS Title, LLC. I sold the company in 2007 and formed an alliance with Title Group of Fort Myers. 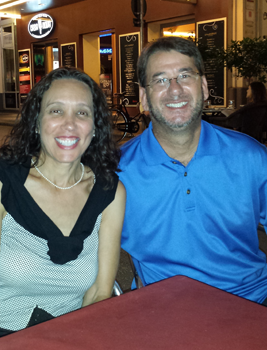 My husband, Scott Friedman joined me at RE/MAX in 2008 and we have been working as a successful team ever since. I also pride myself in having a strong referral network which can only be achieved by giving consistent top-notch service. I am happy to share the numerous testimonials from past clients stating the high-level of service that they received from me. As a Realtor that wears many hats…whether you are buying or selling… I can help you achieve your real estate goals. With my ongoing commitment to service I will draw on a wide range of unique resources to handle your transaction from listing to closing…assuring an experience that is both effective and satisfying to all parties involved. Originally from the mid-west regions of Cleveland and Chicago, I grew up with set goals and determination. I carried that with me while obtaining a basketball scholarship to a nationally ranked college. This gave me the drive, motivation and discipline to succeed in the financial world. As a former VP and Sales manager in the mortgage division of a leading national bank; I honed my relationship building skills through personal service and by putting my client’s needs first. My entrepreneurial spirit led me to ownership of several successful businesses, which included a title company and property management firm. In 2008 I sold both companies and joined RE/MAX Realty Group were I partnered with my wife, Lisa Shepard. Former Owner and President of MLS Title, LLC. In my real estate career, I bring experience from my past 22 years of financial expertise to help others realize their dream of home ownership. WE ARE FULL-TIME PROFESSIONAL REALTORS. LET US HELP YOU WITH ALL OF YOUR REAL ESTATE NEEDS. As full-time REALTORS we will “work the market” to help you buy or sell your home. With over 40 years of real estate, mortgage, title and property management experience we possess a wide range of knowledge to help you through your transaction. We have a wealth of experienced professionals at our disposal to help guide you through every aspect of the process. Working together we will determine your needs and wants to find or sell your home. With the use of state-of-the-art technology and exceptional marketing tools your transaction will always be handled in a professional and timely manner. making your best interests our top priority. focusing on giving you personal attention and the best service. sharing our knowledge of the local area, market conditions and more. making your deal as seamless as possible, ensuring a stress-free transaction. for you. Thanks for stopping by our website. We’re looking forward to hearing from you. The red, white and blue RE/MAX Balloon, with its “Above the Crowd!®”slogan, is one of the most recognizable business logos in the world. 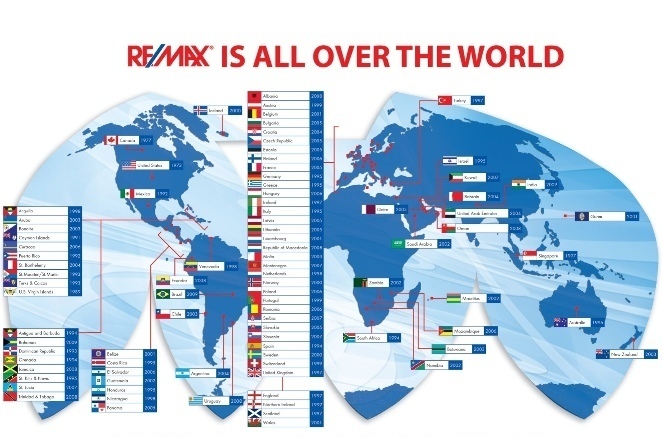 With more than 120 RE/MAX Hot Air Balloonsaround the globe, RE/MAX has the one of the world’s largest balloon fleets. 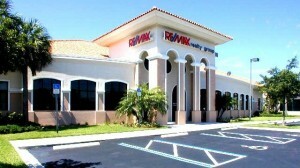 RE/MAX – now an established industry leader – celebrated its 30th anniversary at the 2003 RE/MAX International Convention. Young in years but mature in experience, RE/MAX looks ahead to even greater development and success in its next quarter century. The RE/MAX organization has been the official real estate sponsor of the Children’s Miracle Network since 1992.